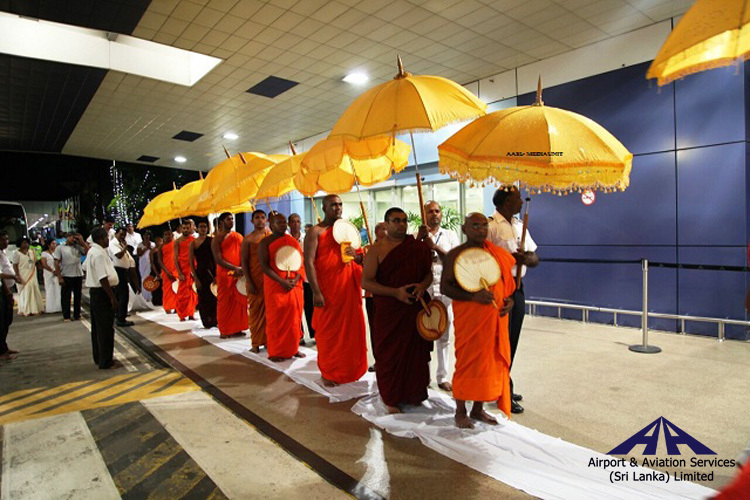 In a bid to serve tourists faster and better, the 20-year-old Tourist Information Centre at the Bandaranaike International Airport operated by the Sri Lanka Tourism Promotion Bureau which was recently refurbished was opened to the public last week. “The Tourist Information Counter at the BIA arrival terminal is the first contact point with Sri Lanka for tourists visiting the country. Therefore, I cannot overemphasize the importance of providing an efficient, helpful and professional service to all those who call over at this counter as their experience here will form the first impression of the country and its people. Well trained personnel complemented by the latest technology at the revamped counter will help project a positive image of the country and our world renowned hospitality,” noted Minister of Tourism Development, John Amaratunga while speaking during the official inauguration ceremony. In recent years there has been increased recognition of the role of VICs and their importance in providing high quality tourist information. The TICs provide tourists with the information they require about things to do and the unique products and services available in the area. In so doing effectively, the officers are able to highlight aspects of each region, with information and anecdotes on the history, industry, attractions and talents of the people of the region. The Sri Lanka Tourist Promotion Bureau operates two main tourists’ information centre, with one at the airport and the other at its head office in Colombo. The Bureau also has TIC at Kandy and at the service stations along the Southern Expressway to facilitate tourists better. TICs also provide information on areas of attractions, lodging options and logistics. Tourists are also welcome to pick up brochures, maps, guide books and several magazines which are freely available at the TIC. The recently renovated TIC was ceremoniously opened by the Minister of Tourism Development and Christian Religious Affairs John Amaratunga in the presence of Managing Director of the Bureau,SutheashBalasubramanniam, Chairman of Airport and Aviation Services Limited SamanEdiriweera and Head of Airport Management of AASL H.S. Hettirachchi. The TIC setting was inspired by Sri Lankan craft, based on the concept of ‘cultural fusion’ so to preserve and enhance the local craft industry.